Apparently, Twitterberry doesn’t necessarily show the entire tweet. Need an example? Experimenting with creating a child theme for Thematic. 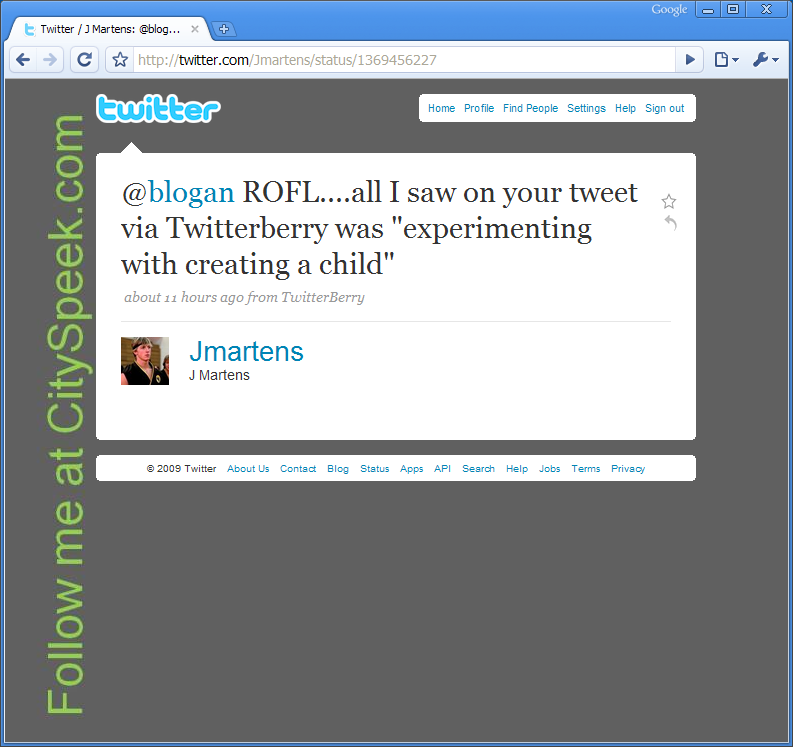 @blogan ROFL….all I saw on your tweet via Twitterberry was "experimenting with creating a child"
I just learned that the latest version of TwitterBerry shows entire tweets now, without having to click to see the whole message. 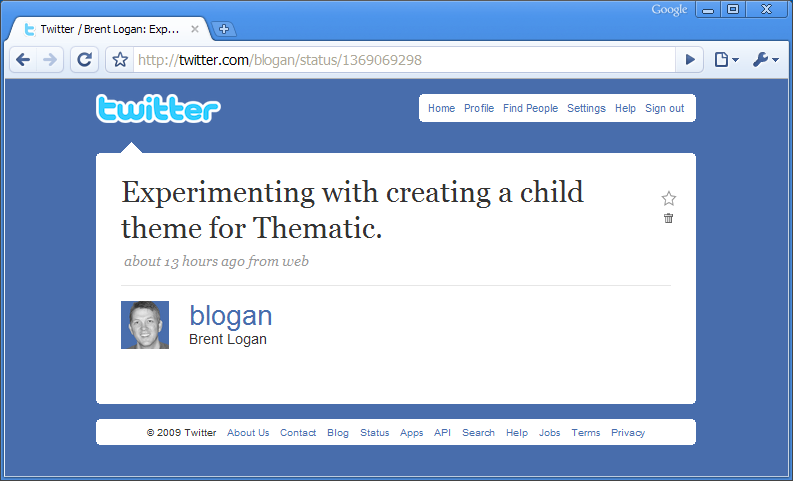 Of course, if they did that before you tweeted about creating a child theme for Thematic, we wouldn’t of had a good laugh! Previous Previous post: Poodle Exercises — What? !